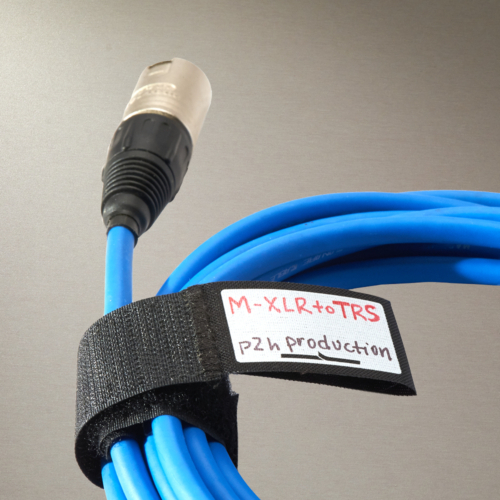 Our most popular product in cable management has been enhanced with new patented technology. One end of the Rip-Lock CableWrap semi-permanently attaches to the cable, the other end has a pull-tab for one-handed quick release. 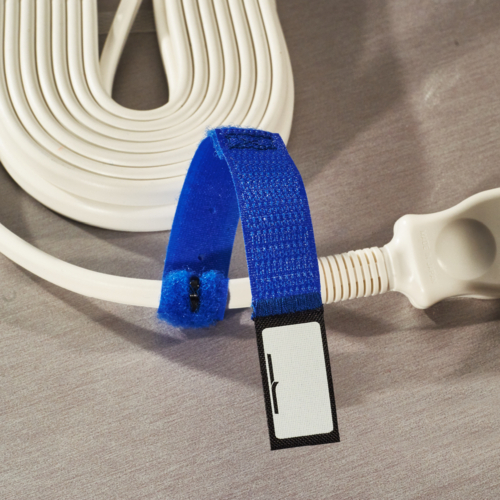 Easy write-on labels helps you keep all your cables in order. Durable and tested up to 10,000 release cycles. demo video 1 packs and 3 packs are available on this site. To purchase in 10 packs and packs of 100, please contact our authorized distributors. CableWrap gets personal with Write-On Labels. Add your name, or use the label to mark cable length or function. 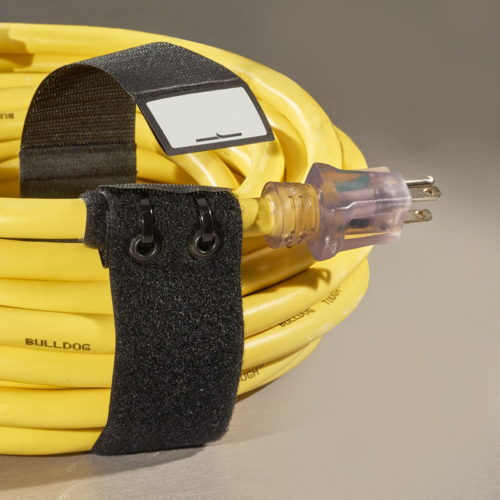 CableWrap won't get lost, it permanently attaches to cable, and is reusable over 10,000 times. demo video 1 pack and 3 packs are available on this site. To purchase in 10 packs and packs of 100, please contact our authorized distributors. CableWrap gets personal with Write-On Labels. Add your name, or use the label to mark cable length or function. 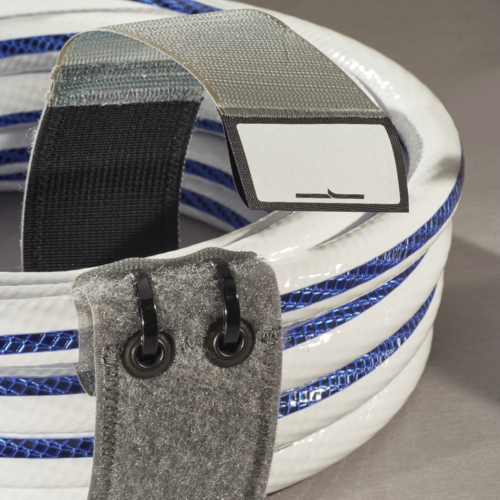 CableWrap won't get lost, it permanently attaches to cable, and is reusable over 10,000 times. demo video 1 packs are available on this site. To purchase in 10 packs and packs of 100, please contact our authorized distributors. 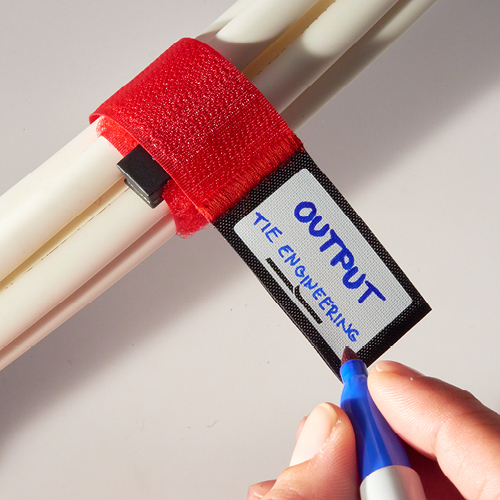 CableWrap gets personal with Write-On Labels. Add your name, or use the label to mark cable length or function. 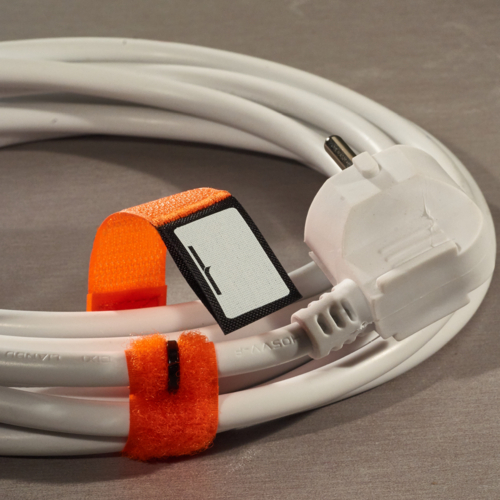 CableWrap won't get lost, it permanently attaches to cable, and is reusable over 10,000 times. demo video 1 pack is available on this site. To purchase in 10 packs and packs of 50, please contact our authorized distributors.